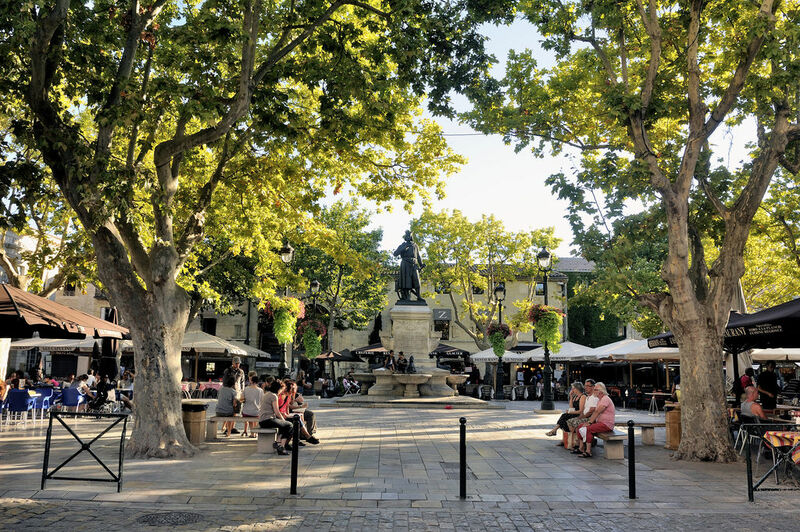 During the hot summer season, this pleasant shaded square is awash with café terraces. Mounted on a platform, the statue of Saint Louis (by James Pradier, 1849) looks on as passers-by come and go. Today, the 17C Capuchins Chapel hosts exhibitions, while right next door at N°4, the Galerie Z illustrates everything that can be done with glass. A little further on, the covered passage next to Rue Émile-Jamais is the haunt of art galleries.